At the feet of the imposing green wall of the Serra do Mar in Ubatuba, the Bananal Ecolodge surprises travelers who come to explore the preserved Sertão do Ubatumirim on São Paulo’s north shore. 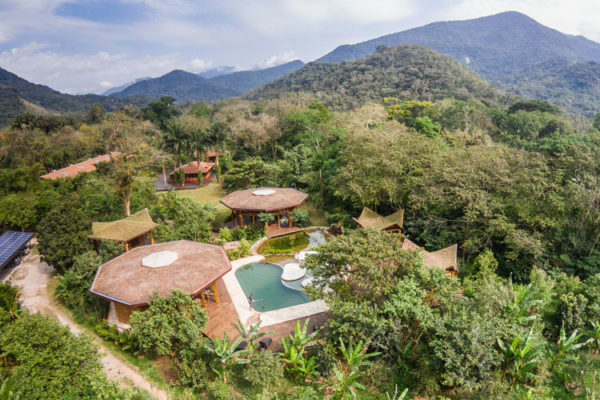 Ten suites with terraces surrounded by a meticulous landscape project inspire visitors with their bold architectural design: bamboo structures, bath water heated by solar panels and sewage treated by biological systems comprise a veritable lesson in sustainability. In the restaurant which seats 60, a menu of quality locally-sourced ingredients is sure to satisfy health food lovers. 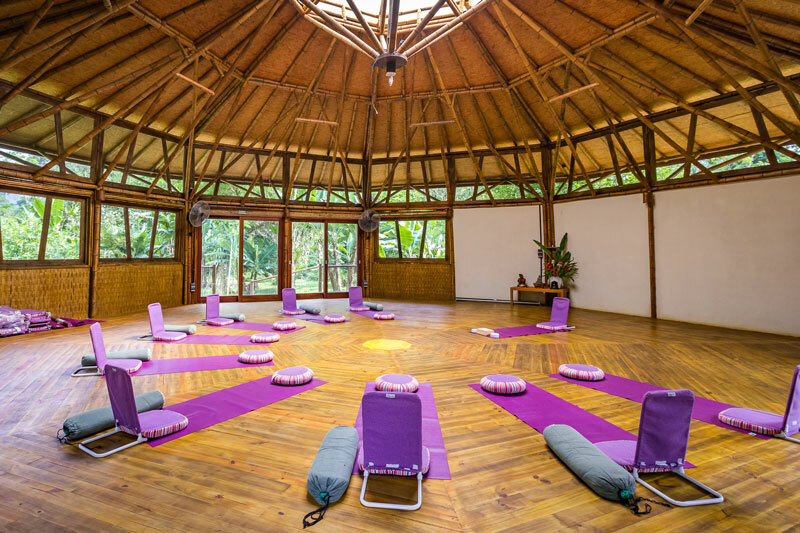 The spa areas include a kiosk for massages, a sauna, a bio-pool and a lovely space with a 150-m2 area designated for yoga and other physical activities. 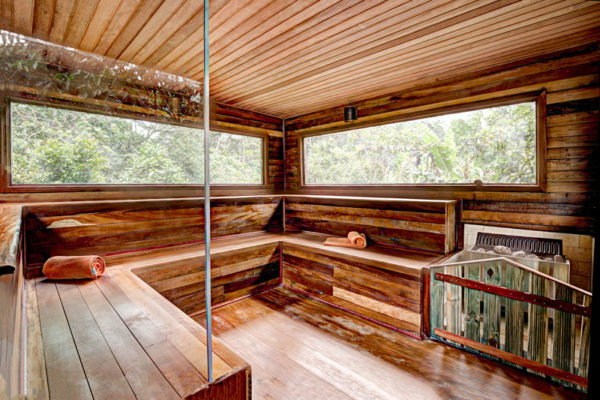 A true hideaway for those seeking comfort and a real connection with nature. SUL Hotels tip: With 540 species of birds, many of which are native, Ubatuba captivates bird watchers. All it takes is a walk around the Bananal Ecolodge to come across Brazilian tanagers, green-headed tanagers, blue manakins and others. 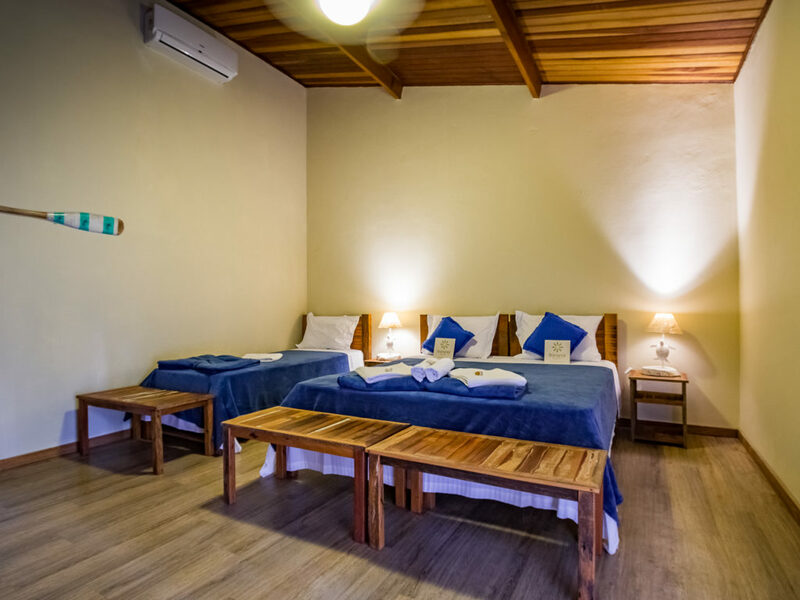 The ten lovely suites, all with an area of 25m2 and a veranda, allow guests to relax amidst the tropical flora and fauna species. 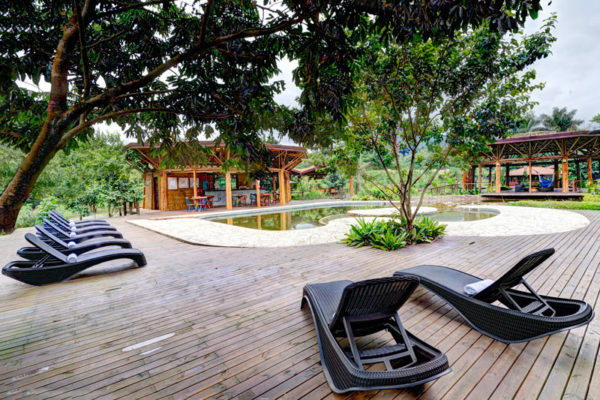 Hanging structures harmoniously interconnect the facilities with the green landscape of Serra do Mar. 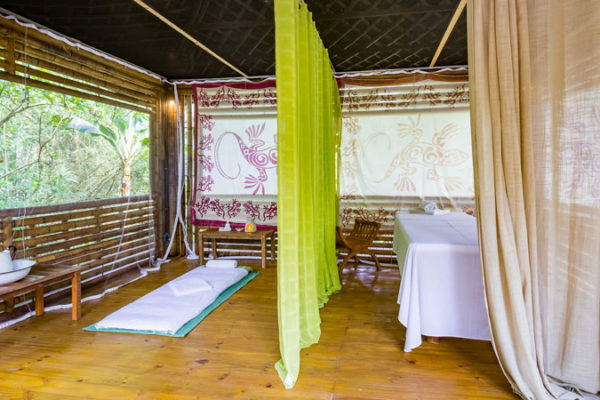 As part of the sustainable construction techniques-- which utilize bamboo, rainwater harvesting and solar panels to heat the showers –, the natural ventilation in the rooms invades the ambiance with the scents of the forest. Air-conditioning and fans are also available for those who prefer them. 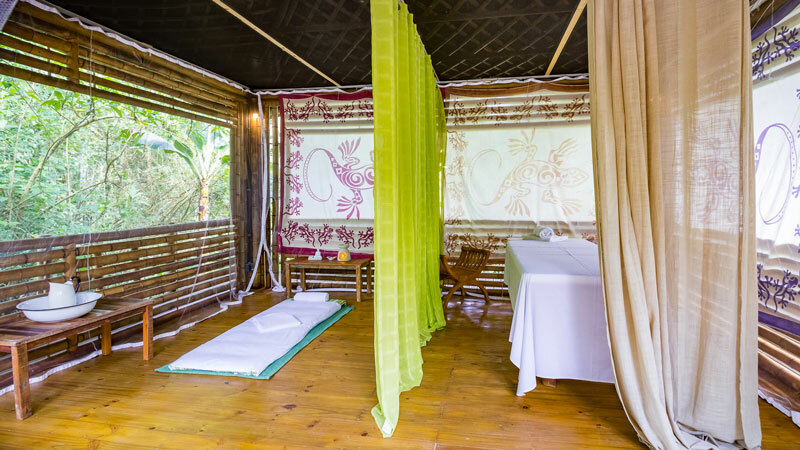 In the bathrooms, the 100% artisanal and natural amenities are an extra touch of luxury for their real aromatherapeutic effects. The exclusive essential oils are made with lemongrass and tea tree harvested at the family-owned Fazenda Ibiúna and processed by Gaia Cosmetics, an agroecological brand from Ubatuba. 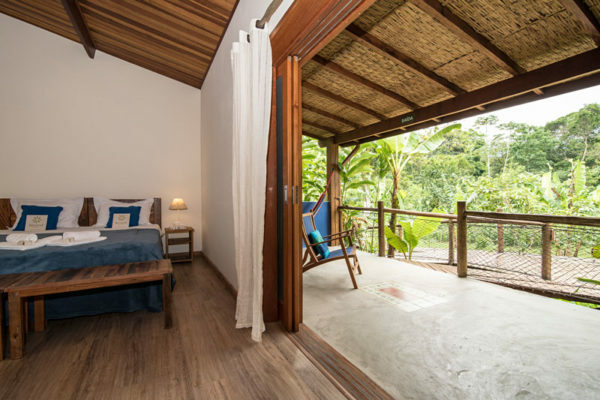 The habitations accommodate 1 to 4 people comfortably in rustic, refined settings which feature tones evocative of bamboo, the Earth, the sky and the ocean at the São Paulo shore. The paints utilized in the structures are made from a base of natural pigments in order to avoid the impact caused by artificial paints. Those circulating in the Bananal Ecolodge facilities get the pleasure of knowing that they are being awarded with accommodations in a singular environment and contributing to a legitimate project of socio-environmental contribution. Starting with the people: from the receptionists to the chambermaids, from the cooks to the waiters, the employees are all natives or residents in love with Ubatuba. 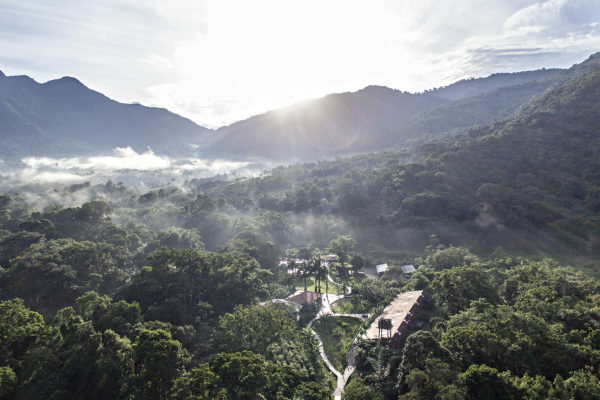 A good part of the impeccable sustainable work is unseen by guests. 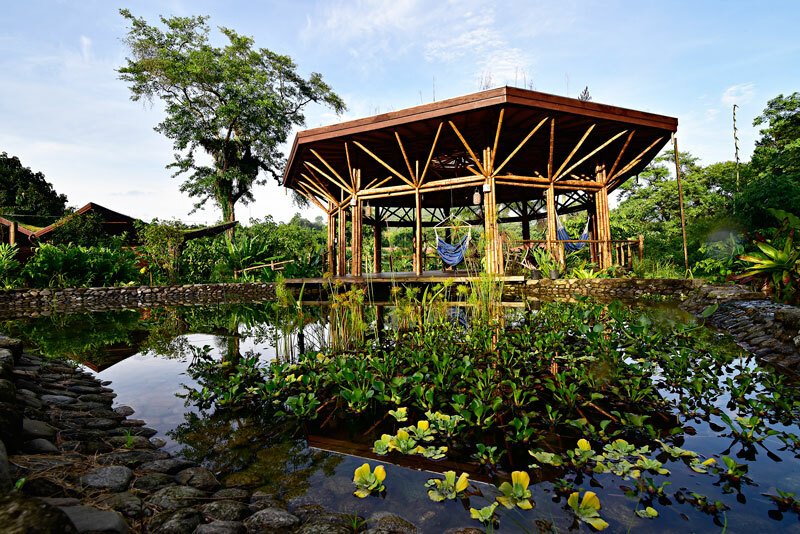 This is the case of the biological treatment of the sewage, of the miniature power plant fueled by photovoltaics, of the tanks of harvested rainwater and the worm composting bins which transform waste from the kitchen into organic compost used to fertilize the inn’s garden. 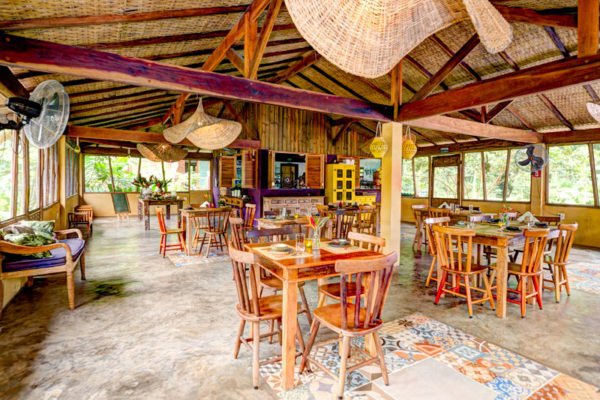 Made with local seasonal ingredients, the Bananal Ecolodge’s food is one of its strong suits. Working from a menu created by chef Camila Taquari specializing in Ayurvedic nutrition, Joadson Carneiro, aka Jô, serves up tasty dishes. 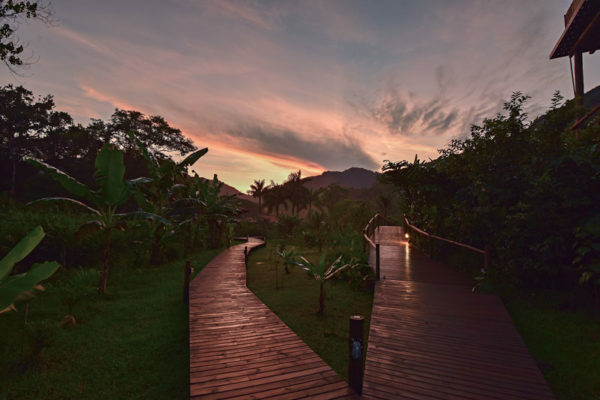 Since the hotel opened in 2016, Jô has been practicing first-rate eco-gastronomy utilizing the best of the local agroforest: pulp of juçara, manioc, heart of peach palm, cambuci and other treasures produced by the land in Ubatuba – not to mention, of course, recipes made with the bananas for which this natural sanctuary is named. 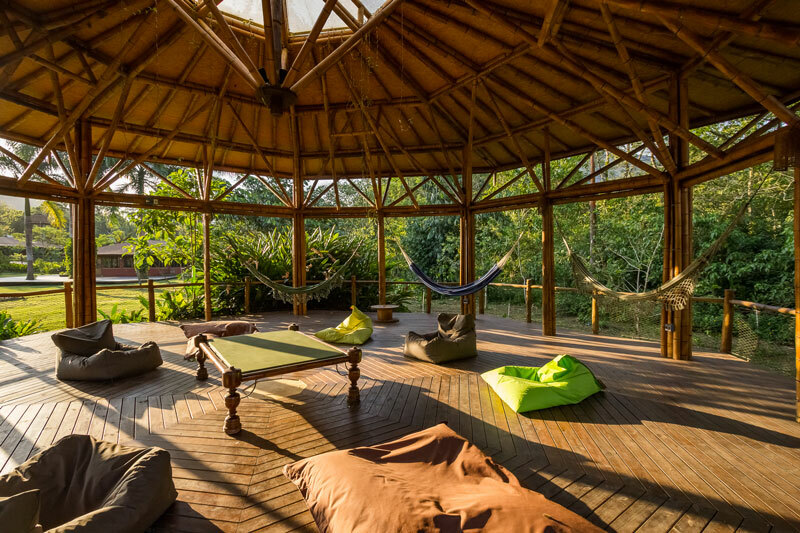 With no less than 20 hectares of preserved forest along the Ubatumirim River, the Bananal Ecolodge is situated in the northern portion of municipal Ubatuba, on the side of the road opposite the ocean – the so-called “backlands.” This is precisely the area with the most beautiful and preserved beaches – among the many that dot the town’s 100-kilometer shoreline. 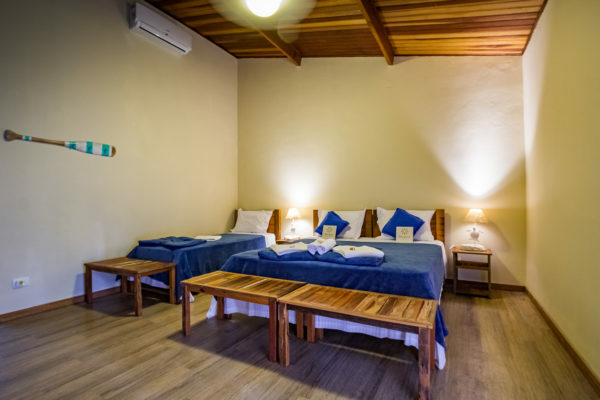 After 2 kilometers on the road, tempting hideaways start to appear, such as Praia do Estaleiro, Praia da Almada and Praia de Picinguaba. You need to have time to explore all that Ubatuba has to offer, from hiking and swimming to biking and surfing. 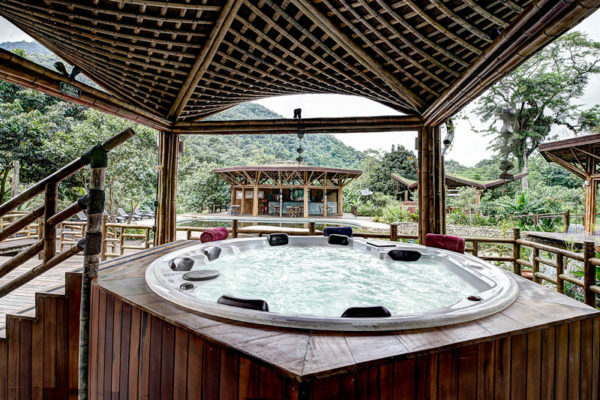 Completely immersed in the nature of Ubatuba, the facilities at the Ecolodge invite visitors to participate experiences that validate this harmony between human beings, forest, river, mountain and sea. 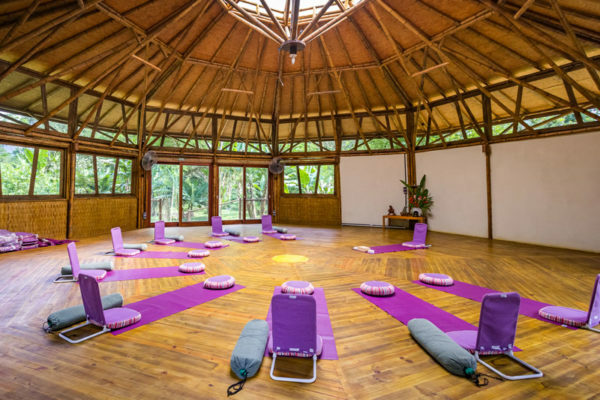 All it takes is a few short steps for guests to move from their rooms to the yoga and massage kiosks. Less than an hour on foot, while accompanied by the songs of rare Atlantic Forest birds, will take you to the Trombador Waterfall. 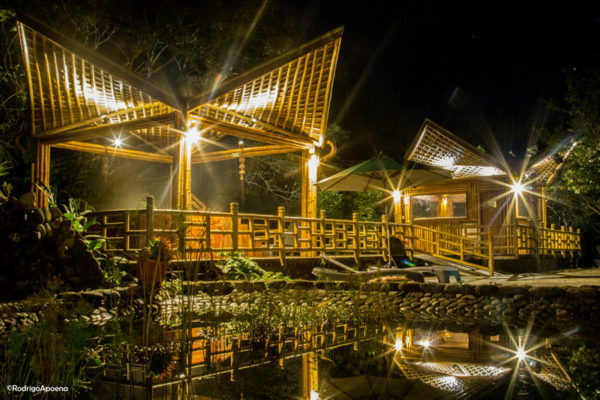 Another seductive activity at the Bananal Ecologe is known as “aguapé,” which consists of walking in the Ubatumirim River, with water up to your knee for 2 kilometers, observing the surrounding nature. Outside the Ecolodge grounds, but still right nearby, you can go surfing, stand-up paddling (SUP), freediving, scuba diving, kayaking, mountain biking and even sailing on flex-boats to islands located to the south (such as Anchieta) or north (Couve and Prumirim) – many of these activities are realized with partner companies, such as Kairós Ecoliving. If you schedule in advance, you can visit neighboring indigenous and quilombola communities. The location couldn&#39;t be any better. 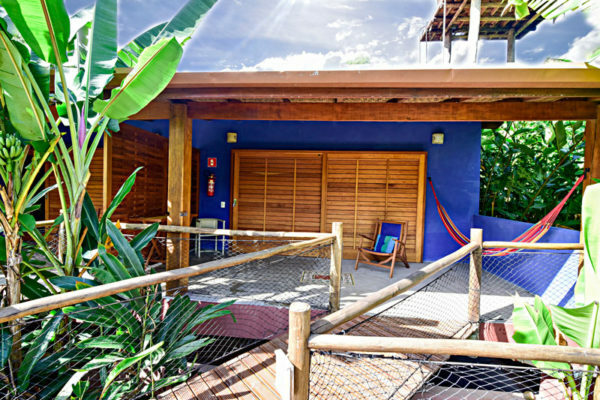 Bananal Ecolodge is at the midpoint between Paraty and Ubatuba, two of the most scenic towns in the Rio-São Paulo axis – and all of Brazil. It is a 35-kilometer drive to each one on BR-101, the Rio-Santos Interstate, an inviting region for road trips. The closest airports are located in the country’s two largest cities. From São Paulo, the drive takes around 4 hours. From Rio, it is about 5 and a half hours on the road. Subscribe to our Newsletter and always be in the loop for incredible findings and opportunities. or to find about more about a destination.